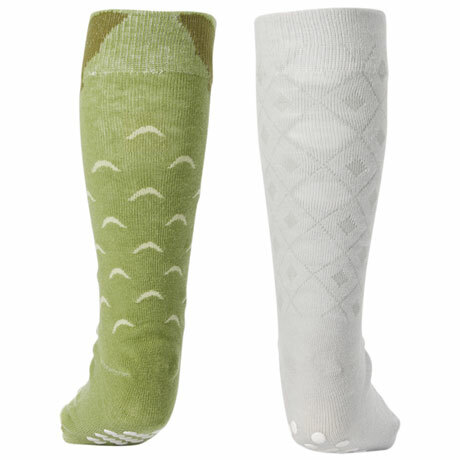 Six adorable mismatched socks, each with its own tale. 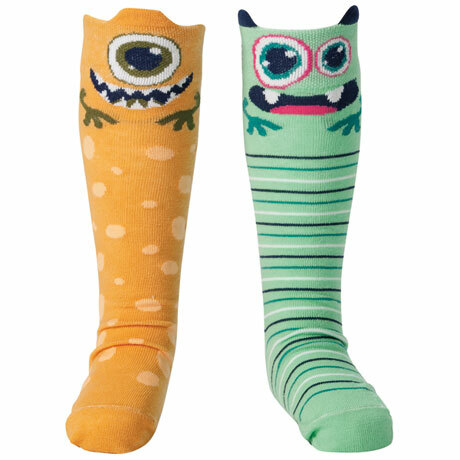 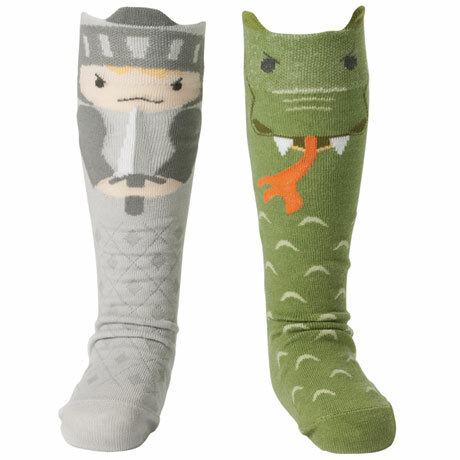 These colorful knee-highs feature characters from stories kids know, and characters to inspire new stories. 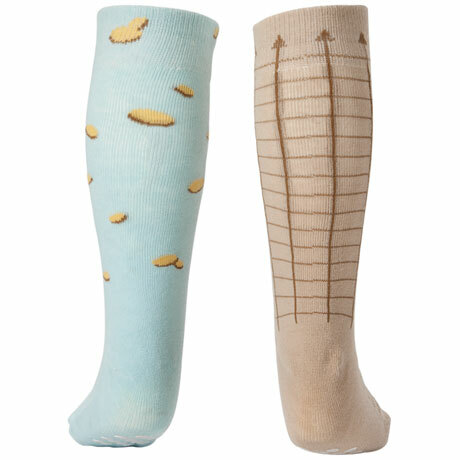 Each set is six individual socks to pair in many fun ways. 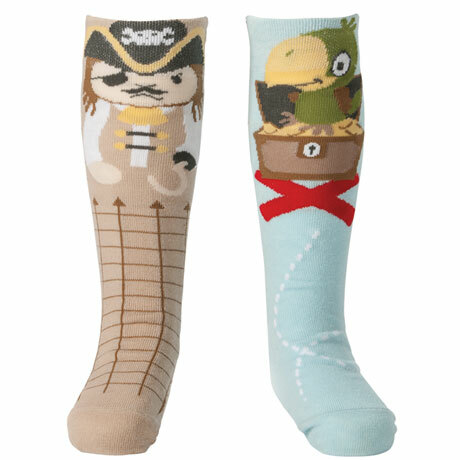 The Classics set includes Little Red Riding Hood, Frog Prince and Goldilocks and the Three Bears; and the Adventure set includes Pirate and Parrot, Knight and Dragon, and Aliens. 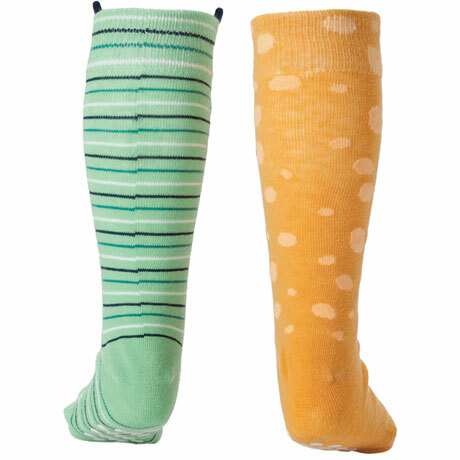 Soft, stretchy cotton-blend socks with nonskid soles are one size; fits 18-36 mos.